Lakeshore is a very talented 16.1hh bay 2009 Warmblood Gelding. Scopey, big step, jumps in great form. Excellent mover. Currently competing successfully in the 3'3" Green Hunter division, Ariat Adult Medal, and Adult Hunters. 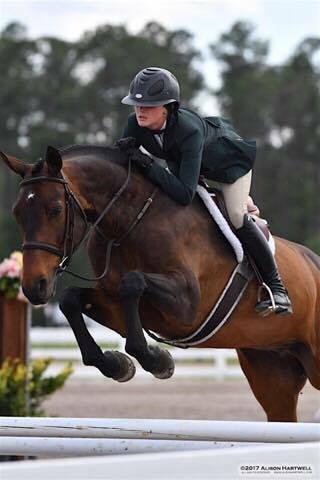 He was recently 3'3" Green Hunter Champion as well as 3' Adult Hunter Champion and 2nd in the Ariat Medal during the April Jacksonville Spring Classic week 3. Please email or call Emil at 908-693-5419 for more information.